Take a few minutes to support the Press TV journalist and anchor who is detained without charge in the USA. Press TV journalist and US Citizen Marzieh Hashemi who had been traveling within the United States to visit with her ill brother and other relatives was detained in a Saint Louis airport on Sunday, and has now been transferred to a Washington DC facility by the FBI. Even though there are no charges against her, Ms. Hashemi informed family members of her ill treatment in the prison facility. She described her hijab having been removed against her will. The prison officials have also denied her access to halal or vegetarian dietary options for the past few days, only serving her meals with meat which she has refused to eat. She mentioned that she had only been able to eat Pretzels and bread. IHRC has already written to the UN Rapporteur on Arbitrary Detention. IHRC is urging campaigners to write to the United Nations Working Group on Arbitrary Detention to request their immediate intervention in this case. Their email and a model letter follows. Please send any responses to IHRC on info@ihrc.org. 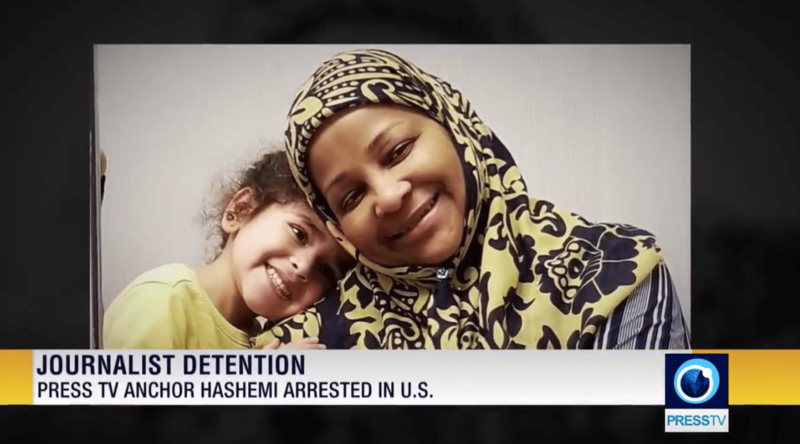 We urge you to direct your urgent attention to the arrest by authorities in the USA of US Citizen Marzieh Hashemi, a journalist and anchor working for Press TV. To date no reason has been given for her arrest and she remains in detention without charge. Ms Hashemi has told her family that she was handcuffed and shackled and was being treated like a criminal. Ms. Hashemi is a Muslim and has had her hijab forcibly removed, and has been refused halal or vegetarian food. This has meant that she has only had pretzels to eat since her detention. Please use the status of your office to intervene in her case urgently. Ms. Hashemi is reported to be unwell and is aged in her 60s. I am sure you agree this is an extremely serious situation and urgent case.